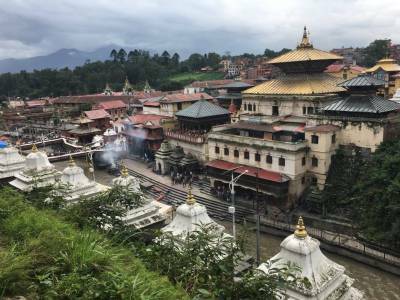 The Lord Pashupatinath Temple in Nepal is one of very few temples in the whole world that has been designated by the UNESCO as one the World Heritage Sites in the world. The Lord Pashupatinath Temple is a prime Hindu temple dedicated to the destroyer god, Lord Shiva. It is one of the four cornerstones of the Saivism scared sites in the whole continent of Asia. The lingam in the Lord Pashupatinath Temple is believed to be a self incarnating idol of the Lord. The temple was however built sometime in 600 CE and later revamped by the Kings of the Malla Dynasty. The Lord Pashupatinath Temple is the largest religious temple system in the whole of Nepal located at the heart of the Kathmandu Valley. 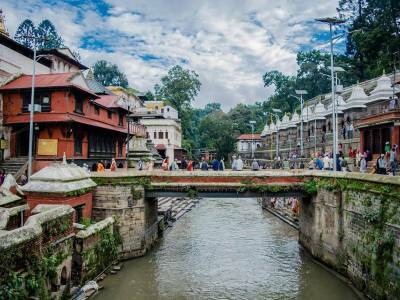 The temple complex of Pashupatinath stretches on both banks of the holy Baghmati river of Nepal. Though the Lord Pashupatinath Temple is a Hindu temple, still it also has many Buddhist idols in the premises. 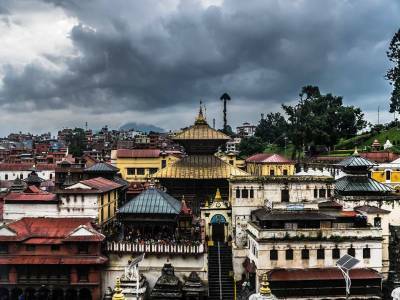 The main temple of the Lord Pashupatinath is built using the Newari style, so it looks like a pagoda with a gold gilded roof with silvery edges. The wood style engravings on the temple are the most exquisite work of art that adorns the sanctum like jewelled attire. The consort of the Lord, Lady Parvati is also enshrined in an adjoining temple that is known as the Guheshwari. The obedient carrier of the lord is past in front of the main sanctum. It is said that the 12 Jyotirlingas of India represent the body of Lord Shiva whereas the lingam at the Lord Pashupatinath Temple represents the head of lord Shiva. 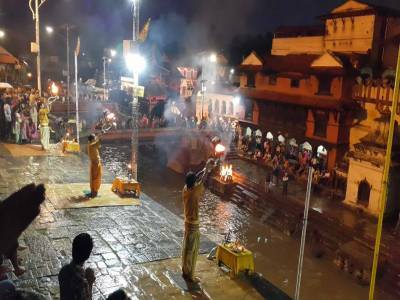 The ambience of the Lord Pashupatinath Temple along with the beauty of the serene river creates an otherworldly heavenly ambience in which the people will find solace and spirituality. 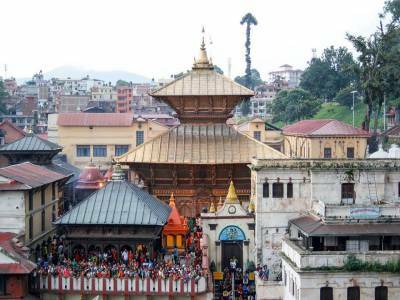 Get quick answers from travelers who visit to Pashupatinath Temple.